I remember when I was a kid, if you got an egg with a matching mug, that was big news. The free mug was pretty darn cool. Now a days there are all sorts of free gifts and varieties of Easter egg, but it's Marks & Spencer who push things one step further out there every year, with innovative egg products such as this year's show stopper- a spinning, silver chocolate disco ball. When Smix spotted it he immediately required it! It spins in the box & he says the chocolate tastes like Magnum ice lolly chocolate. It's £10 and definitely the stand out product from the kids' range, but there are more goodies too. Much of the Easter confectionary line is now in store, including all the eggs, sweets, Hot Cross buns and hunt kits and hampers. The intricate Frozen castle shaped 'egg' is back this year, plus a Thomas the Tank Engine shaped chocolate delight, and Percy & Penny sweet statues. 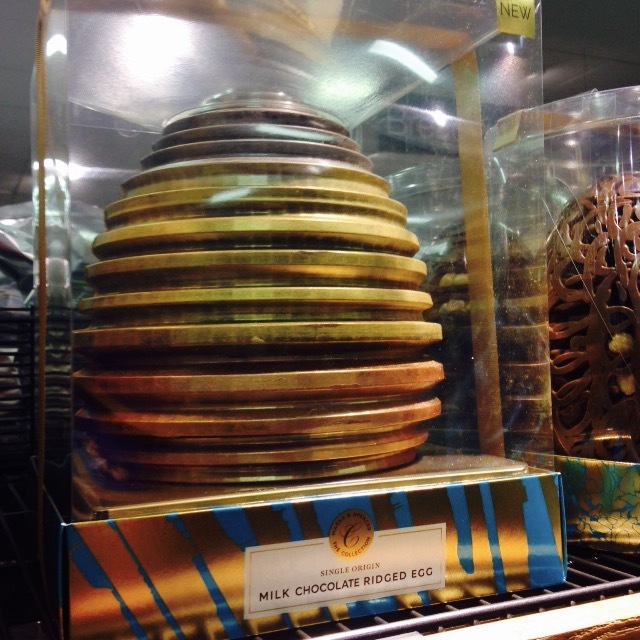 Bendy Bob is a new addition, plus there are white chocolate options and plenty of bunnies. Laid Back Lamb is flying off the shelves, with his wacky wool and happy face. 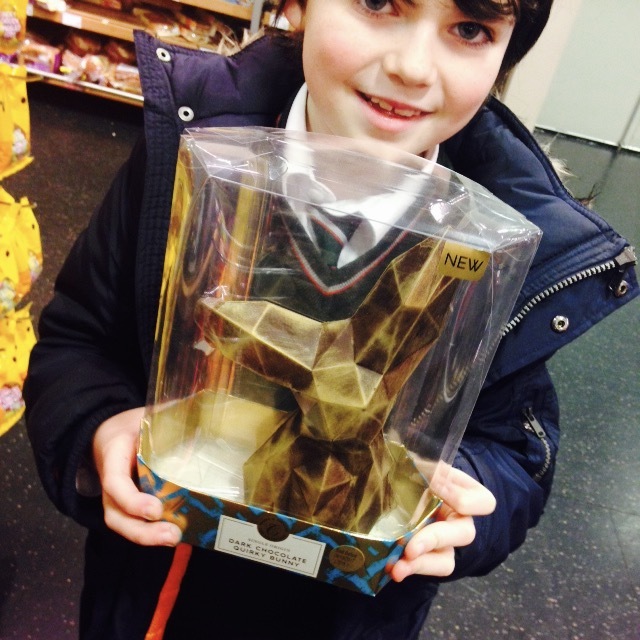 Besides your straightforward egg selection, M&S are also a great place to stock up on items for a garden east egg hunt. There are specific kits you can buy to make a hunt, or there are bundles of mini eggs you can purchase to put together a hunt yourself. I also adore the bunny jar, which could be used to store cotton buds for your makeup area afterward. There are hampers of different sizes and prices with all you will need for an Easter party. You'll have biscuits, sweets and plenty of chocolate. Of course Marks and Spencer are known for their 'grown up' fancy pants eggs too. Many to choose from this year. I like the options of nougat or fudge eggs, an alternative to the endless chocolate variety. And don't forget Bennet! 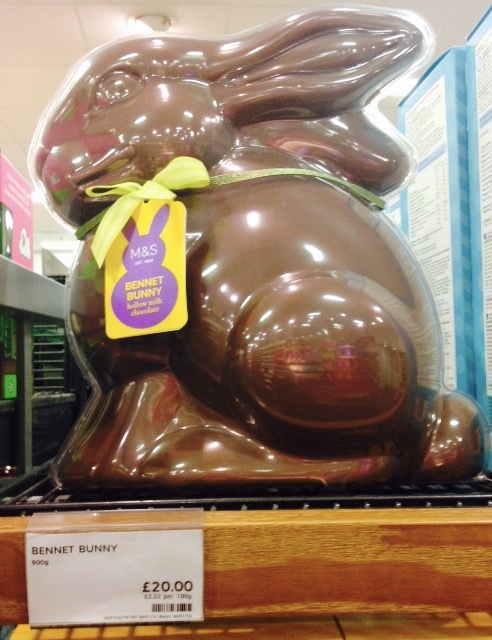 From tiny Beau, right up to Bennet who is £20 and almost a kilogram of chocolate! The £2 Hot Cross Bun flavoured fudge just can't be missed. Make sure you pick up a pack of it to try. Even those who don't like chocolate can enjoy these little jelly bunnies. So what's your favourite Easter 2017 Marks & Spencer goodie?